There’s a reason the holidays in New York City herald iconic Christmas songs and movies: it’s simply the place to be when the holidays come around. Every inch of the city embraces a bit of seasonal magic, from the storefronts adorned in twinkling lights to the giant Christmas trees found both indoors and out. 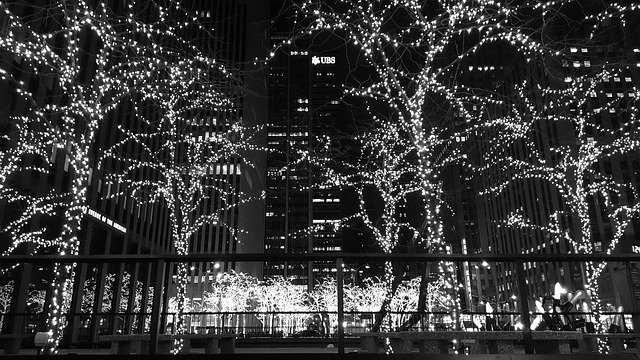 If you’re planning a trip to New York City for the holidays, here are the top ten ways to make sure it’s full of Christmas cheer and all things festive. Don’t worry, there’s something for everyone on the list, even if you’re traveling with a few Scrooges. Everyone always dreams about ice skating in front of the ridiculously famous Rockefeller Christmas tree, but unfortunately, that will set you back almost $40. Plus, it’s one of the most popular attractions in the entire city, so you’ll have to battle other skaters for space. 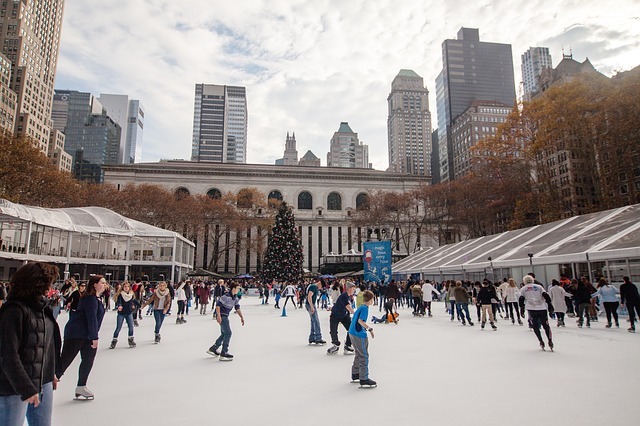 Instead, take a more relaxing lap around the free ice skating rink at the Winter Village in Bryant Park. You will have to rent your skates, but saving on admission to the ice will give you some extra funds to enjoy the rinkside bar and the nearby holiday shops. After you’ve gotten your fill of ice skating, you can head to the packed Rockefeller Center to see the enormous tree everyone talks about. Although the sight is something to behold during the night hours when the tree lights up, it’s actually a better idea to go during the day when you can take pictures without wrestling a staggering crowd. Whether you’ve been to NYC a thousand times or this is your first trip, seeing the Rockettes perform live at least once is essential. 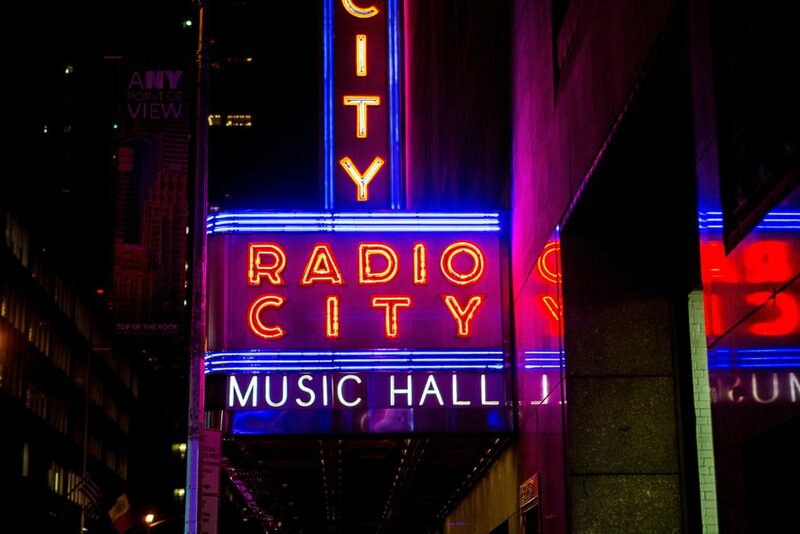 There’s no better time to check them out than during their seasonal show at the Radio City Musical Hall, which comes complete with insane costumes, challenging choreography, and this year, flying drones. Tickets are available online now. Shopping on 5th Avenue at Christmas time is basically a requirement for all New Yorkers and tourists. 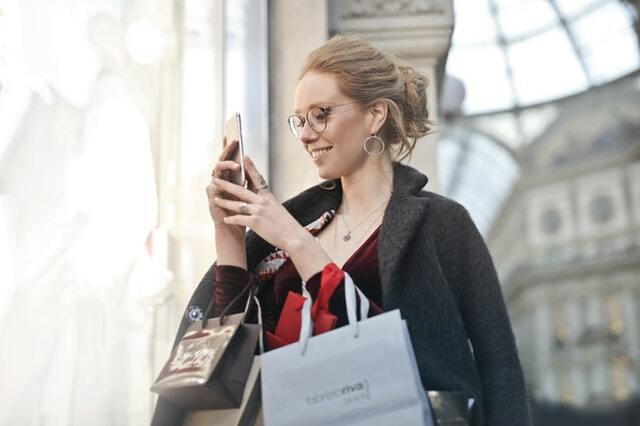 Sure, it’s pricey, but the ornate shop displays and overall aesthetic will have you whipping out your wallet faster than you can say “Happy Holidays” to passersby. 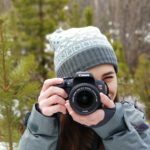 Make sure to bring your camera, too, because you’ll want to capture everything. Never has window shopping been so fun. Macy’s might not seem like anything special if you have the chain back home, but you haven’t seen a Macy’s quite like this one before. Thousands of people pour into the department store every day. It’s the largest in the world, and during Christmas time, it plays home to Santa Claus and his helpers. If you grew up watching Home Alone II or Eloise at the Plaza, you know that this is the hotel you need to see during the holidays. There are beautiful Christmas decorations, wreaths, garlands, and other sights to enjoy without any kind of reservations. 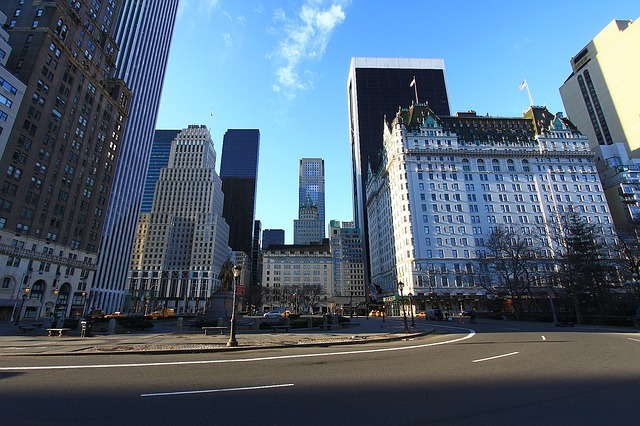 If you want to stop and stay awhile, you can also attend tea time or make reservations for a meal at the Plaza Hotel. This pop-up bar takes Christmas to a whole new level with cocktails like the “Fa La La” and spiked eggnog. Everything comes served in festive glassware and puts you right in the holiday spirit. 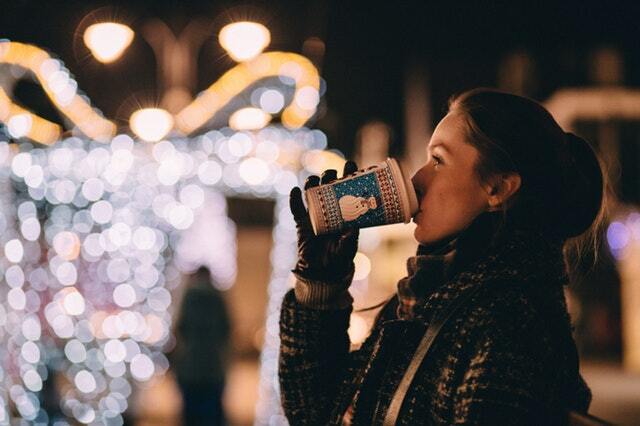 It’s a great way to take a break and warm your soul while still hunting down the best of Christmas in NYC. If there’s ever a time to see The Nutcracker, it’s while you’re in town for the holidays in New York. The NYC Ballet is one of the most renowned in the world, and their production features almost 100 dancers and tons of special effects. It’s truly a classic Christmas experience. When you travel to Central Park, don’t miss the market located right at 59th Street and Central Park West. You’ll find everything from homemade jewelry to delicious snacks nestled in the various stalls, and even if you don’t buy anything, the decorations are worth seeing. When it comes to food in New York, there’s nothing more festive than a restaurant literally jam-packed with hundreds of Christmas decorations. A little tacky, perhaps, but definitely holiday-appropriate. Order some German beer and Schnitzel, then take in the chaos of twinkling lights and ornaments. Although New York is always full of treasures and memorable experiences, it’s never a more magical place than during the holidays. If you ever plan to visit, now is the time to go and make merry with some friends or family.